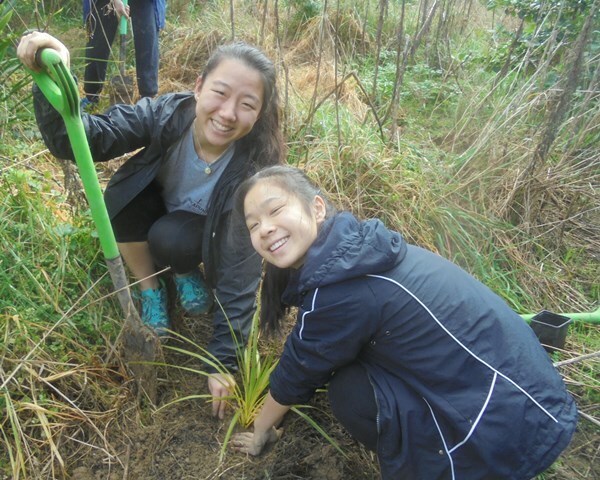 Today we had additional help with our planting from a small but very energetic team from Takapuna Grammar School (TGS) on Auckland’s North Shore. 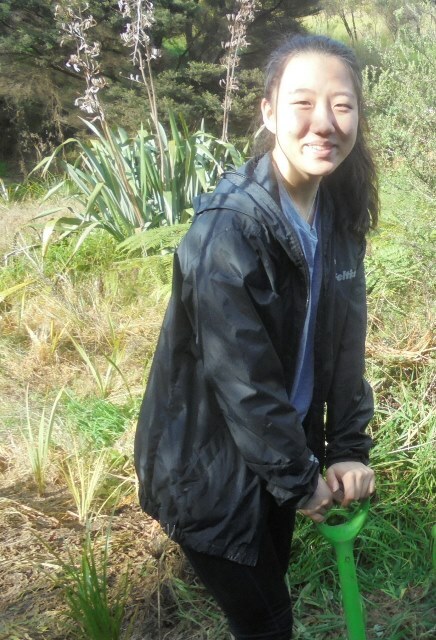 During the April school break, Jungha (Jelly) a student from TGS had come to CUE Haven to do the residential component for the Duke of Edinburgh’s Hillary Award (DoEHA) gold award and made an amazing contribution to the project. 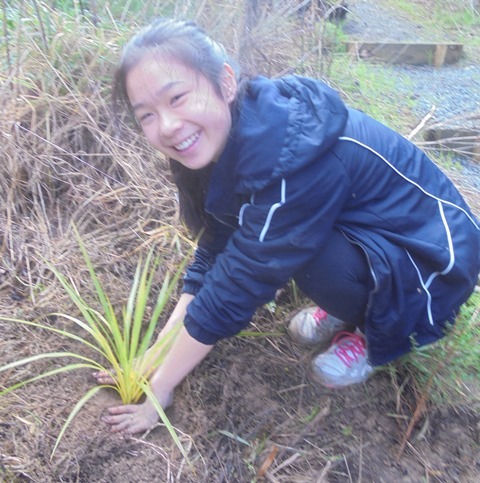 The very enthusiastic Jelly decided to come back to CUE Haven and help with planting trees with some of her classmates from TGS during the July school break. 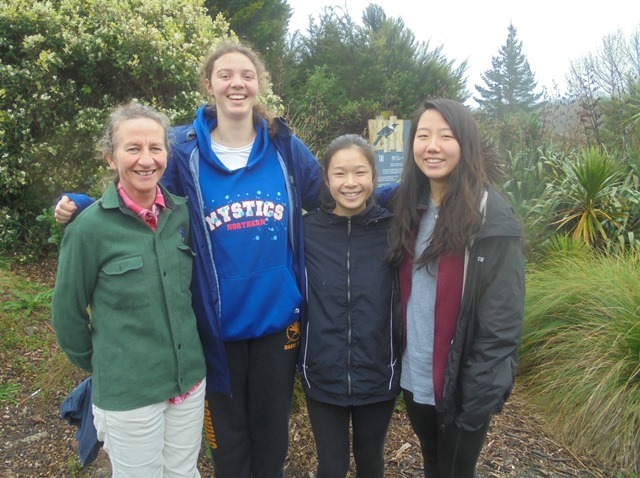 So today we had Jelly and her classmates Alice and Iona and Assistant Principal, Student Services at TGS – Mary Pottinger, join us for a day of planting. We got acquainted over morning tea and Mahrukh gave an overview of the CUE Haven project. 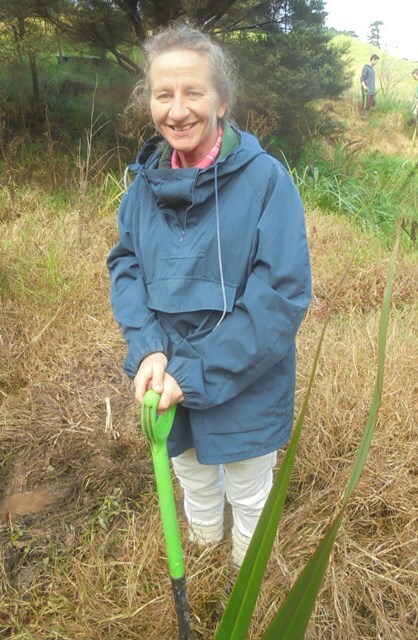 After a safety briefing and a description of the work planned for the day, Thomas took the team up to the planting site. 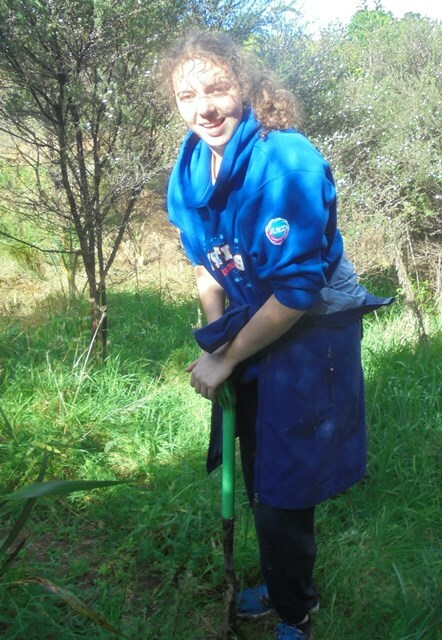 The plan for the day was to plant in several areas around the property that needed some additional work. This week we have other students on site doing their DoEHA residential and today was a planting day for the combined teams. 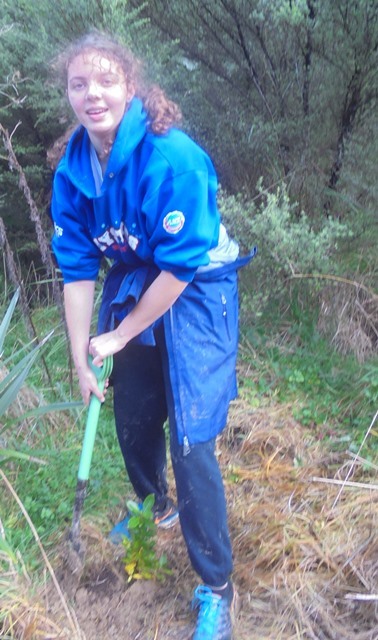 After a quick planting demo the team soon got to work planting manuka, karamu, flax and cabbage trees. After a few hours of hard work, the team came down for a leisurely lunch and socialised with the others in the DoEHA team. 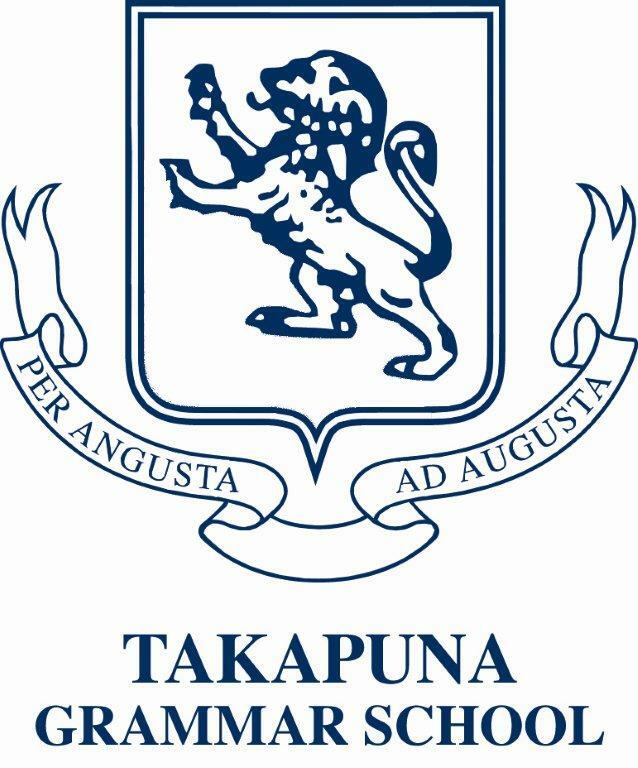 Two of the DoEHA students are also from TGS. 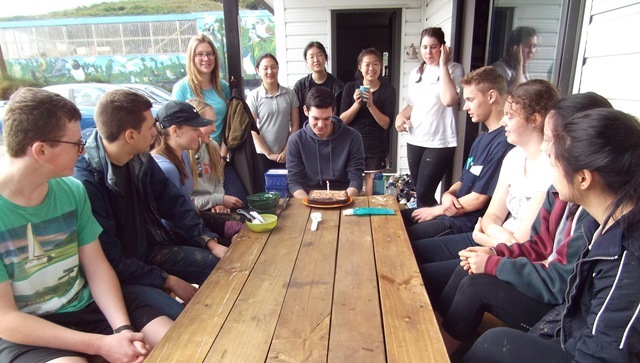 And everyone joined in the early celebration of Michael’s upcoming 18th birthday. 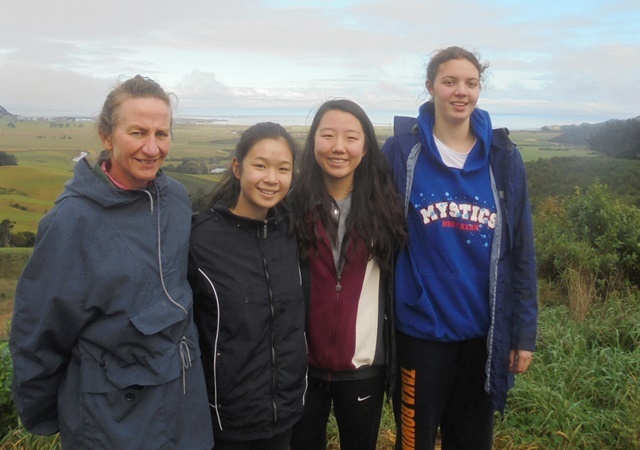 Our many thanks to the hard working Alice, Iona, Jelly and Mary for giving up a day of their school break and coming to help us today. 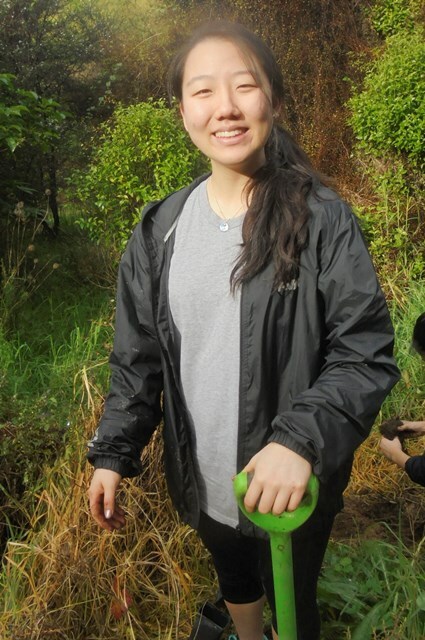 And a special thanks to Mary for driving the students out and setting the pace for the students in the field. 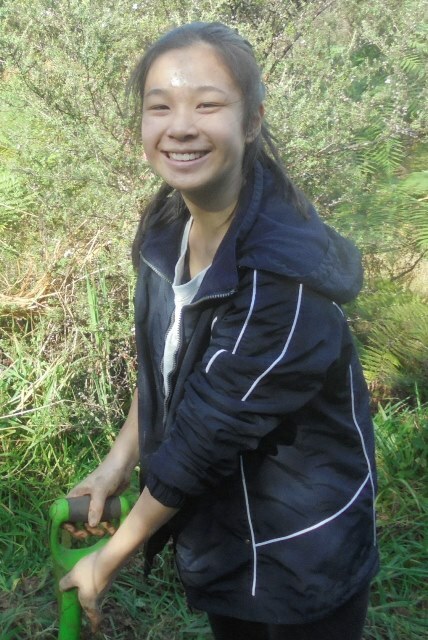 And a very big thank you to Jelly for taking the initiative to set up the volunteer day for her classmates. Jelly – it was great having you back at CUE Haven and we really appreciate your enthusiasm and continuing support. 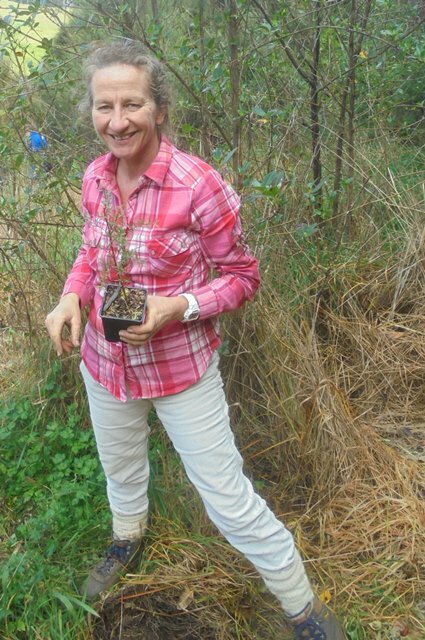 The trees you have planted will add to the growing native forest – what a fantastic contribution you’ve made to our environment and community! 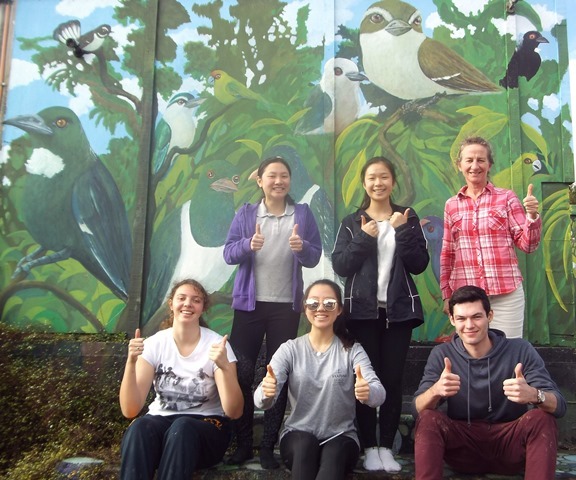 We look forward to having you back with your family and friends to explore the growing native forest you are helping to create for the community.